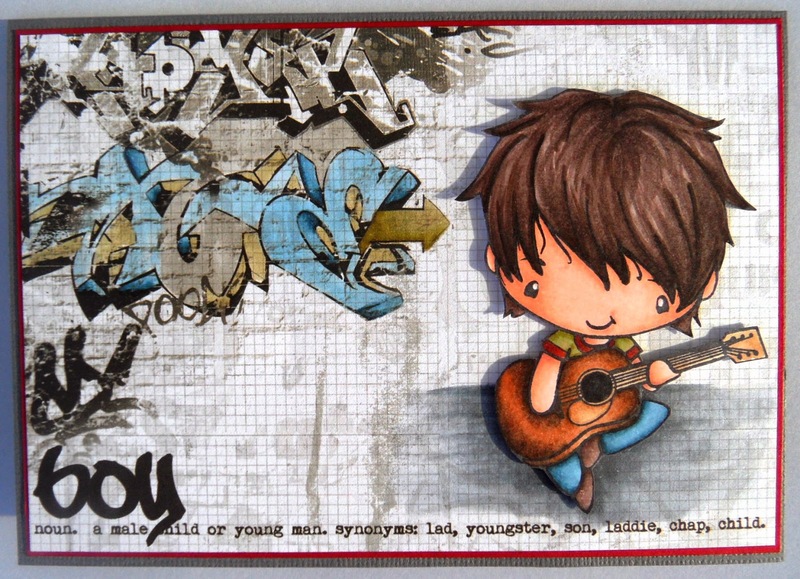 Welcome to another The Greeting Farm Release - and this is Day 1 and the fabulous stamp that we are showcasing Guitar Ian. I love Ian and all his guises - probably because I have an 8 year old son so I am constantly making cards for him and his friends! I coloured Ian with Copics and teamed him up with some Kaisercraft Paper. A close up of Guitar Ian. "Guitar Ian" will be released at The Greeting Farm shop on 1 May2014. Please check out The Greeting Farm Blog to see all the other DT members fantastic projects. Each day we will be giving away the preview stamp of that day so make sure to visit the TGF blog and leave comments today. This stamp set can be yours! Be sure to leave som blog love at each of the DT's posts for your chance to win. Really cool dude! Love the paper you used for the background. He's both cool and sweet. Love the papers as well, great card! Great coloring and I like your choice of paper. this is great! very grungy and boyish! I love it!! your card is Perfect!!! 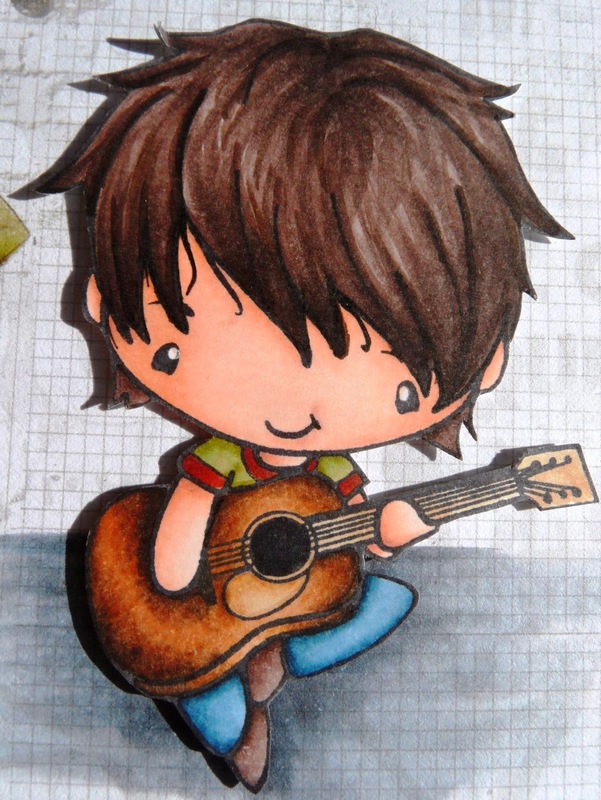 Your coloring of Guitar Ian is Fabulous too!! Sooooooooo Cute I need him!!! Just love his smile and him playing the guitar like that, Oh too cute!! Awesome card awesome coloring and DP is perfect! Love this little guy already, must have him! Love every single thing about this card!!!! The coloring, the design, and well….like I said EVERYTHING!!!! Great card!! Love it! Awesome DP and coloring. Great job! Love those papers with the new Ian.